"Galaxies, Dark Matter, Cannibalism, Gravitational Waves, and Black Holes"
Raja GuhaThakurta's research is focused on the formation and evolution of galaxies – specifically, their accretion/cannibalism history, dark matter content, chemical enrichment, and star formation history. One approach is the study of the local "fossil record." Our group at UCSC led the SPLASH survey of red giant stars in our closest large neighbor Andromeda (M31) and its dwarf satellites using the Keck II 10-m telescope and DEIMOS spectrograph. SPLASH includes the spectroscopic supplement to PHAT, the HST multi-cycle treasury survey of M31. We also lead the ongoing HALO7D survey, which involves very deep Keck/DEIMOS spectroscopy and HST-based proper motions of stars in the Milky Way's outer halo, and the spectroscopic components of the PISCeS survey of nearby galaxy groups and the NGVS survey of the Virgo Cluster of galaxies. A second approach is based on "direct look-back" to distant galaxies. With colleagues Faber and Koo at UCSC and Conroy at Harvard, we have obtained very deep spectra of distant galaxies in the CANDELS fields as part of HALO7D. The same group was part of the UC-led DEEP2, DEEP3, and multi-wavelength (Chandra, GALEX, HST, Spitzer, VLA, etc.) AEGIS survey of distant galaxies. Other research interests include interstellar dust grains and their interaction with radiation, and the stellar populations and chemical abundance of globular clusters. 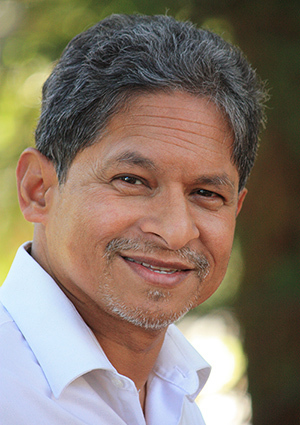 Dr. Raja GuhaThakurta is also founder of the very successful Science Internship Program SIP at UC Santa Cruz for High School Students and a co-founder of Global SPHERE Network.